"It is voted one of the top railway journeys in the world. 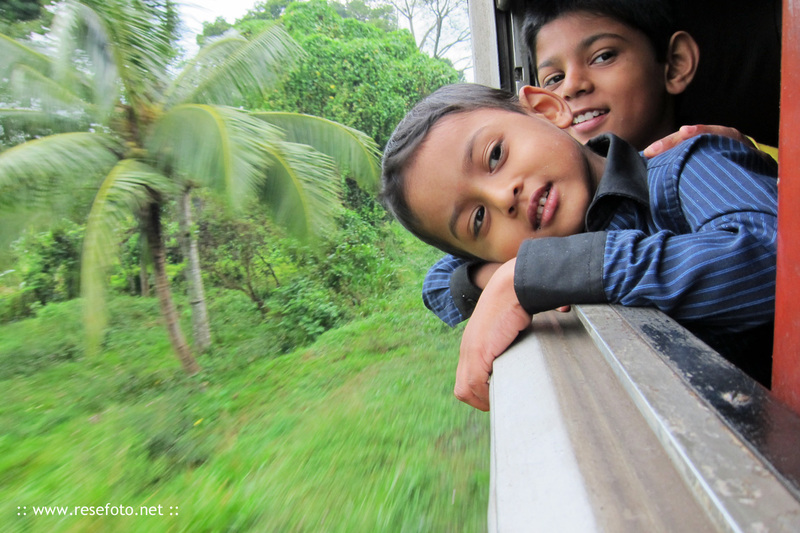 The Kandy to Colombo train is battered, painted red with yellow Sinhalese characters unscripted all over it. 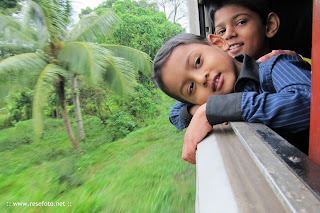 The sides of the railway track drop away on either side, exposing vast valleys and snaking brown rivers."